Need a few moments away from the hectic city life without the need to travel far? How about taking a break in the city itself, at a place which is a treat for all your five senses - sight, touch, smell, hearing & taste? 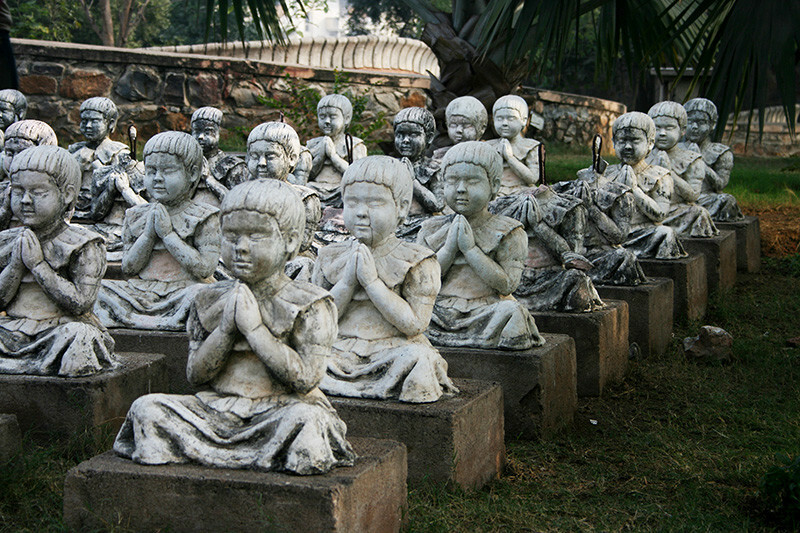 Yes, the Garden of Five Senses located at Said-ul-Ajab Village in Delhi promises to do just that! The Delhi Govt conceptualized the garden project with a view to augment the green area in Delhi and also provide a wholesome leisure destination for the public at large. The garden was inaugurated in 2003, and has since gained popularity over time. 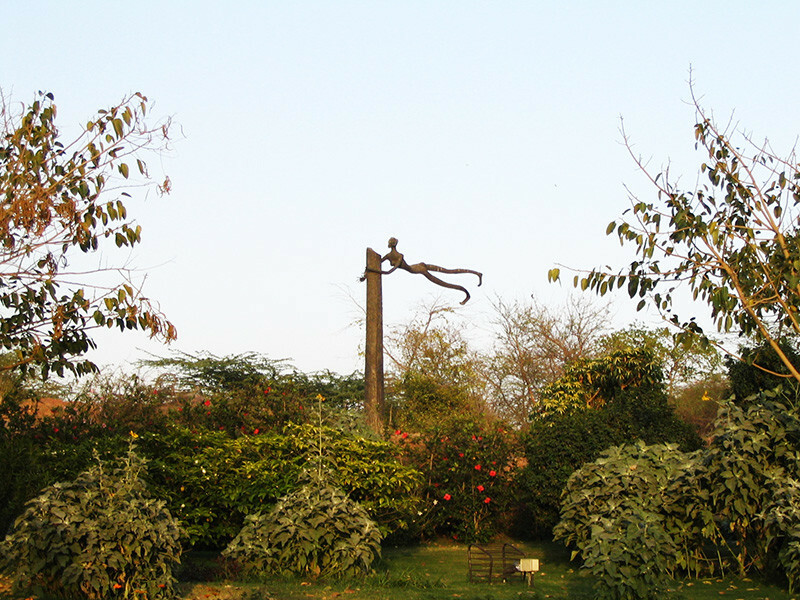 The garden is also one of the largest in Delhi; spread over 20 acres of Aravalli rocky outcrops which have been beautifully & painstakingly landscaped. The garden has a quirky architecture, giving a country feel to it with a wonderful mix of flora, sculptures, walk ways, fountains, sitting arenas and even an amphitheatre. A wonderful mix of various components have been placed in such a way that it provides a treat to the different senses simultaneously. Walking through the garden, one sees and smells many varieties of flowers and can also hear the melodious tunes of a huge wind chime swaying in the wind. The mix of sight, sound & touch has been achieved in a superb way with sculptures, wind chimes, fountains & even artistic sundials positioned at strategic places among the flora. Wow! 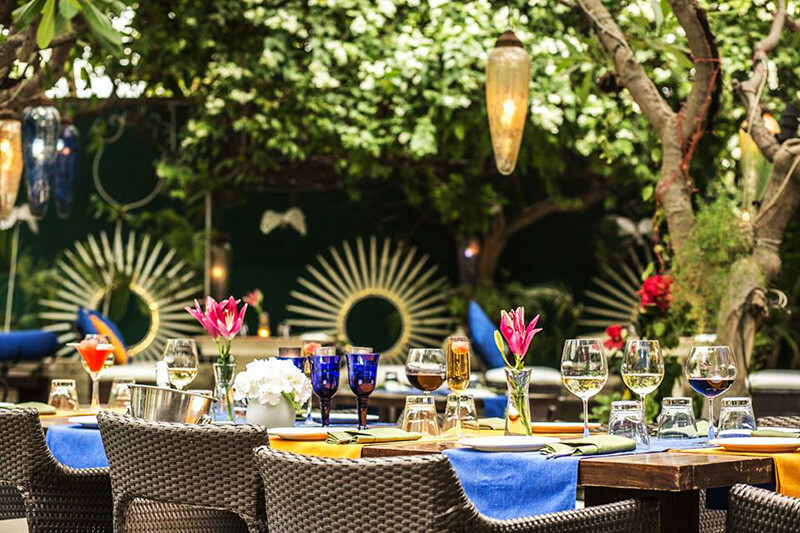 The garden boasts of a wonderful array of plants & trees arranged in various geometric patterns along meandering walkways with lotus pools and miniature ponds tucked away in cozy corners. There are a number of sitting areas in the garden, which provide for a pleasurable experience with ample shade and wonderful views. The garden also has a wonderful food court offering a variety of cuisines from different parts of India. Visiting the garden is a pleasure in every season but in the winters, it is at its very best! The amazing array of winter flowers in a wide variety of colours, landscaped tactically on the side beds among the trees, alcoves & walkways bloom to present a breathtaking visual experience. It is a photographer’s delight and indeed many people visit here to partake of this pleasure. The Delhi Govt, in order to boost greenery and nature awareness among its people, has been organizing a ‘Garden Festival’ here in the winters for the past few years. 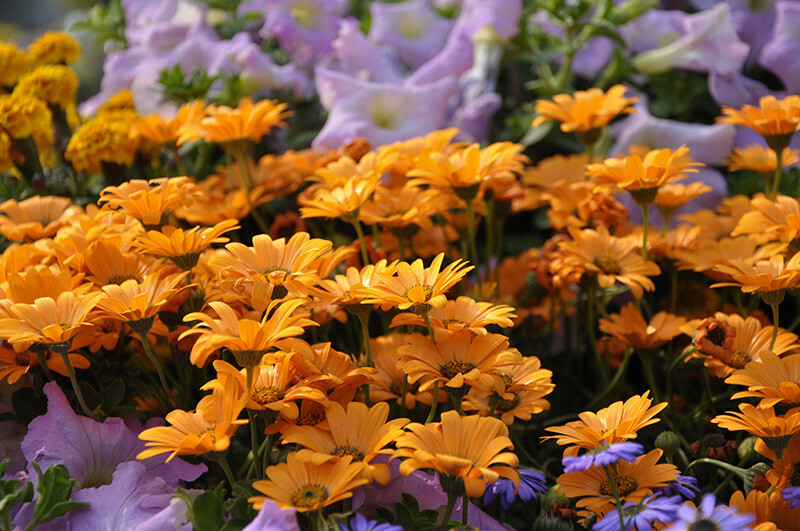 For the gardening community in Delhi, this festival is the best opportunity to find a wide variety of plants & foliage. Moreover, for the discerning diners, there are some amazing lounges & country kitchens serving a fantastic wine & dine experience. Among them, QBA - open lounge, Magique and FIO - Country Kitchen & Bar are the most popular and happening choices. So whether you’re looking for some peace & quiet or for some inspiration for photography or are a foodie or a gardening enthusiast, the Garden of Five Senses is the place to be!